Marilyn Frances Best, 89, of Tiffin, died at 9:42 a.m. Saturday, July 29, 2017, at University of Toledo Medical Center. Marilyn was born June 7, 1928, in Tiffin, to Constantine and Lucinda (Gase) Harlett. She married Paul Best in 1950 and they later divorced. grandchildren; two stepgreat-great-grandchildren; and a sister, Roberta Healey of Fostoria. 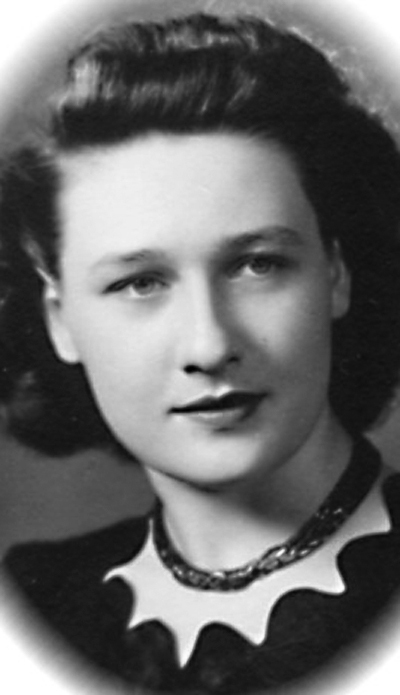 She was preceded in death by her parents; a son, Donald Best; a grandchild; and two stepgreat-grandchildren. Marilyn had attended Hopewell-Loudon High School, retired from General Electric Co. and was a member of St. Mary Catholic Church. Visitation will be 6-8 p.m. Wednesday, Aug. 2, 2017, at Traunero Funeral Home and Crematory, 214 S. Monroe St., Tiffin, OH 44883, (419) 447-3113. A wake service will be at 5:30 p.m.
Prayers will be said at 9:30 a.m. Thursday, Aug. 3, at the funeral home, followed by a Mass at 10 a.m. at St. Mary Catholic Church, Tiffin, with the Rev. Anthony Coci officiating. Burial will take place immediately after the service in St. Mary Catholic Cemetery, Tiffin. For directions, to order flowers or offer condolences to the family, go to www.traunerofuneralhome.com.